All American Wood Register is out of Crystal Creek, IL. 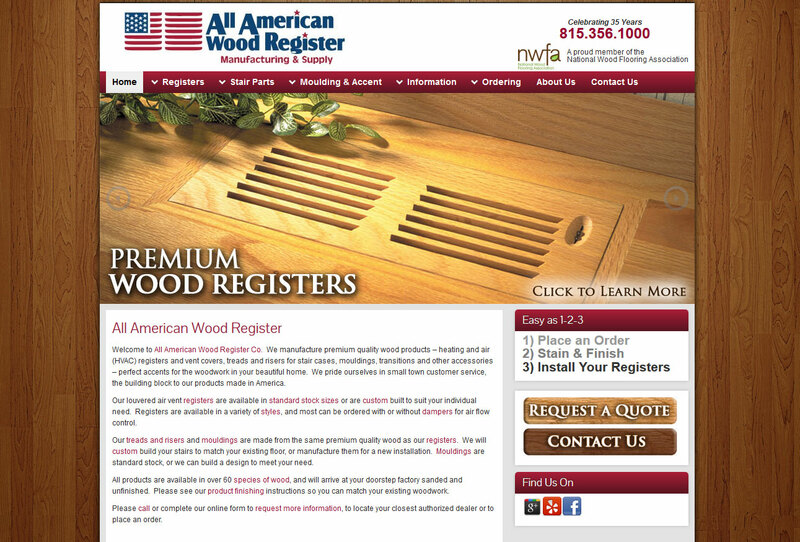 They provide premium wood heating and air (HVAC) registers and floor vents. They needed a website that would help make the process of ordering the product your wanted with ease.